Today, many c-stores offer an ever-changing menu of fresh food offerings. The variety of these healthy choices makes hungry customers happier, but creates complications for the c-store chain.Read the full article here. I was recently interviewed for an article in the ACHR News, “HFO Sightings: Refrigerant Retrofits Becoming More Common in Supermarkets,” which discusses steps that can smooth a supermarket owner’s transition to sustainable and compliant HFO blend refrigerants. What refrigerant changes are coming, and which should you choose? The R-22 refrigerant is in its final days, and will be officially phased out at the end of next year. There’s also a good chance that hydrofluorocarbon (HFC) refrigerants will also be phased down in the U.S. in the years ahead, as their use continues to be limited in different countries and regions around the globe. Many supermarket owners see the writing on the wall and are starting to transition to lower-global warming potential (GWP) refrigerants — particularly if they are uncertain about counting on the availability of HFCs or concerned about a potential rise in the cost of these refrigerants. Others simply seek to transition to more eco-friendly refrigerants that align with corporate sustainability objectives. That is why many store owners are choosing to retrofit their existing equipment to use hydrofluoroolefin (HFO) blends, which compare well with HFCs in terms of performance but offer advantages in the forms of energy efficiency, environmental-friendliness and future availability. However, HFO blends are not drop-in refrigerants. Equipment usually has to be modified before it can be used. Not all equipment is equally easy to retrofit, and not all HFO blends are the same. The ACHR News article lays out clear guidelines to help you navigate among HFO blend options and retrofit processes. As I point out in the article, HFOs have very different characteristics than HFC or hydrochlorofluorocarbon (HCFC) refrigerants. Some HFOs are classified as A1 (non-flammable) while others fall into the A2L (mildly flammable) category; many have temperature glide characteristics to consider. In addition, many HFO blends have been developed to replace specific HFC refrigerants — for example, R-448A and R-449A are designed to replace R-404A — and there are small capacity and efficiency differences that may vary based on the specific refrigeration application. That said, with the right RFO blend and the right modifications, many systems will continue to operate reliably for years after the retrofits. The age and condition of the equipment should determine if they are good candidates for a refrigerant retrofit. If you are interested in transitioning to an HFO blend, it’s essential to find out if your equipment is compatible with a given blend. There are specific HFO blends designed to replace the most common HFCs, depending on the type of equipment and the refrigeration application. However, not all HFCs can be replaced with an HFO, and in some instances, equipment may require major modifications. For that reason, you need to consider the specific characteristics of each refrigeration application, the replacement HFO blend, and their impact on system performance to make sure you continue operating within your equipment’s design specifications. For example, a new blend could cause a higher discharge temperature, which could require investing in supplemental compressor cooling. That’s why you should consult with the equipment manufacturer and your refrigerant vendor about compatibility before making any transition. Manufacturers such as Emerson conduct stringent R&D and testing of RFO blends in their compressors and other components before they are deemed “ready to use” in a retrofit. Because you may be changing the refrigerant for which the units were initially designed, you should also ask about the status of your warranties and the potential impacts before commencing a retrofit. 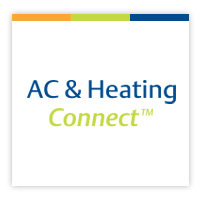 When you’re ready, the ACHR News article provides a more detailed guide to the retrofit process for you and your refrigeration contractor, from evaluating the system type, design and application for a compatible HFO blend, to charging a unit with its new refrigerant and fine-tuning the equipment. As regulations surrounding refrigerants continue to evolve, most retailers recognize that moving to HFO blends is one of their best long-term solutions for a large installed base of refrigeration equipment. With a range of safe and environmentally sustainable HFO blends available as replacement refrigerants for HFC-based systems, converting your systems to low-GWP HFO blends is the quickest and cheapest way to achieve a large overall reduction in your future carbon footprint.